The Coconut Sun Tanning Oil is a highly moisturizing and nourishing formula with an intense tanning action. 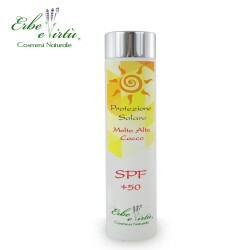 It promotes the production of melanin by accelerating the physiological mechanism of skin pigmentation giving the skin a bright, prolonged and uniform tan. Vitamin E and special oils keep the skin soft, elastic and help prevent chapping. Not greasy and does not stain it leaves the skin delicately scented. Indicated for dark skin types or for already tanned skin. This products does not contain UV filters. Ideal for both sun exposure and solar lamps. Coconut Oil, Walnut Mallo Oil, Sweet Almond Oil, Jojoba Oil, Wheat Germ Oil, Wheat Protein, Vitamin E.
Apply the product on the skin evenly until complete (or partial, depending on preference) absorption. It is recommended to apply preferably 10 minutes before exposure for a greater tanning action.